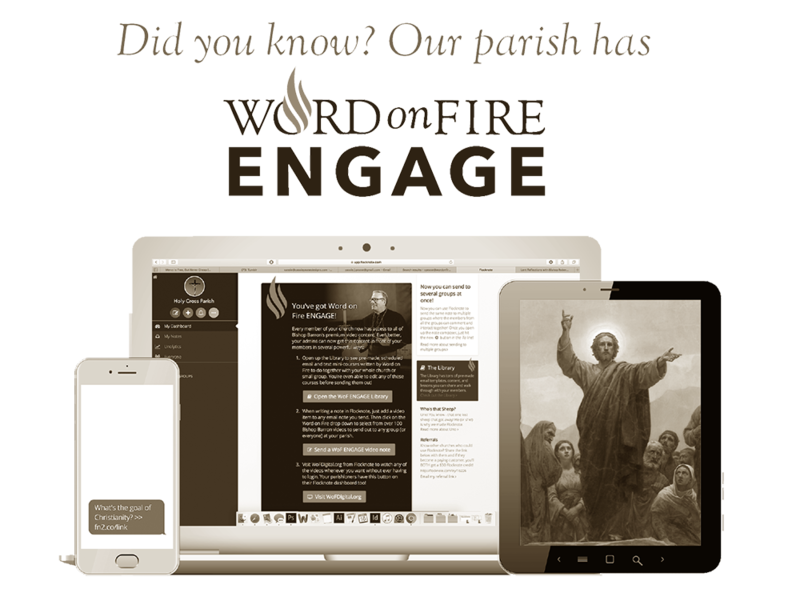 We are excited to announce that our parish now has access to premium video content from Word on Fire. He is best known for his CATHOLICISM film series and his Emmy-nominated Pivotal Players series, which have both aired on PBS and EWTN, and have been seen by millions of people. Thanks to Flocknote, we can now send you short Bishop Barron videos with engaging questions via email or text message. We encourage you to participate in our parish discussions as together we draw deeper into the Faith. In addition, you now have access to the entire Word on Fire digital video library. You can watch any of Bishop Barron’s films or study programs whenever you want, on any device! Finally, we encourage you to watch this short video about Word on Fire for a sneak peek at the great video content you now have access to.